Film props are not just randomly placed objects on a movie set. Many props hold significant meaning and add to the theme of a story. The most iconic movie props tell a tale on their own, like Dorothy’s ruby red slippers. They're not just any ordinary pair of shoes: they represent Dorothy finally being able to return home to Kansas, but they also convey a feeling of nostalgia. Movie props in and of themselves can define a film. Theories abounded about the slippers whereabouts. Some speculated the thief threw them into the Tioga Mine Pit Lake. Others believed the criminal sold them on the black market. There were no leads on the slippers for several years, until an Illinois man was allegedly spotted bragging about how he was involved in the heist from the Garland Museum. The cops raided the man's house but didn't find the slippers. In 2015, an anonymous donor put up a $1,000,000 reward for the return of the slippers. Then, in September 2018 - 13 years after the slippers were stolen - the shoes found their way home. Thanks to a 2017 tip to Detective Brian Mattson, the Grand Rapids Police Department, along with Minneapolis FBI agents, were able to track down the missing shoes. The details surrounding the recovery were not discussed. In terms of horror movie props, Michael Myers's mask from John Carpenter's first Halloween (1978) may be the most iconic. But here's an interesting fact: the mask was actually a store-bought William Shatner mask made by Don Post Studios. DPS made several molds of actors' faces for the Satanist film The Devil's Rain (1975). These molds were then used during the movie's melting scenes. Actors like John Travolta, Ernest Borgnine, and Ida Lupino were all in The Devil's Rain and all had replica mask molds for their faces. However, it was the replica of Shatner's face that became the Mike Myers mask. 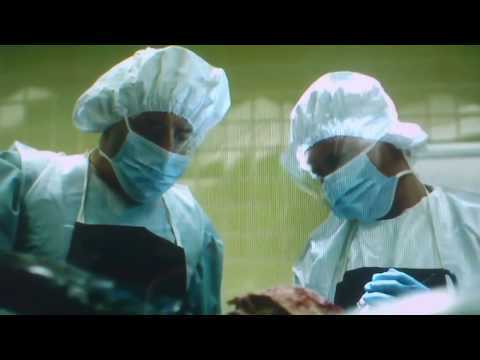 However, the prop got a second life a few years later when it was used in the Steven Soderbergh drama Contagion (2011). Paltrow's character is one of the first people to get infected with the film's deadly virus. There is an especially gruesome autopsy scene where her head is sliced opened in the name of science.